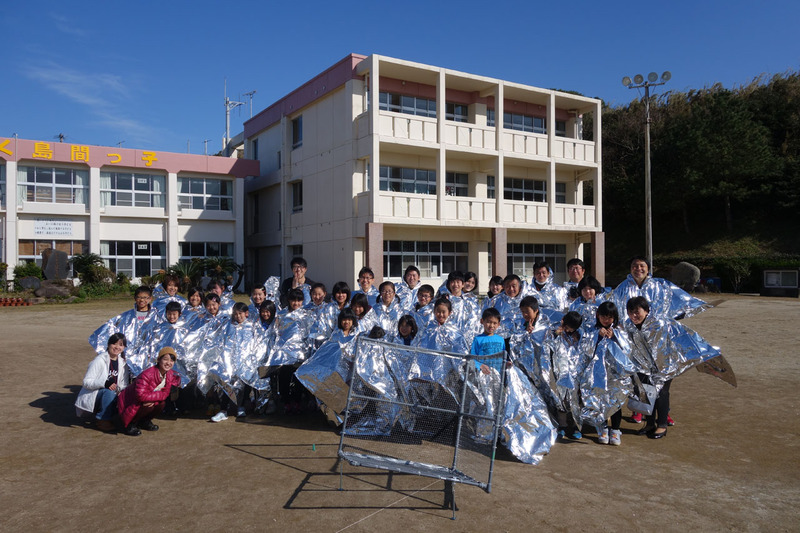 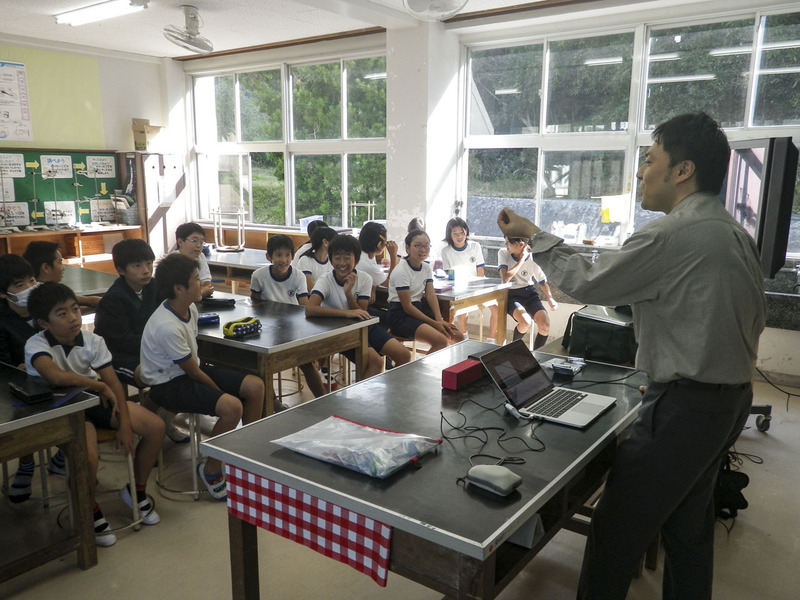 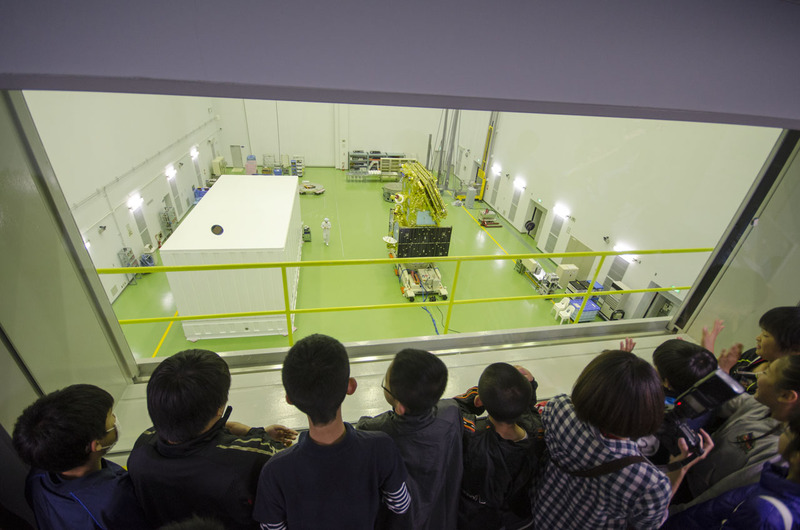 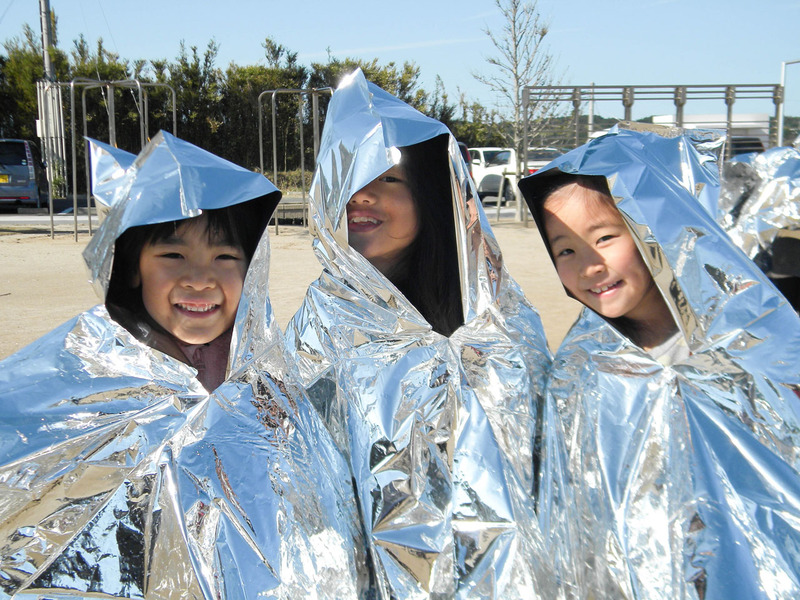 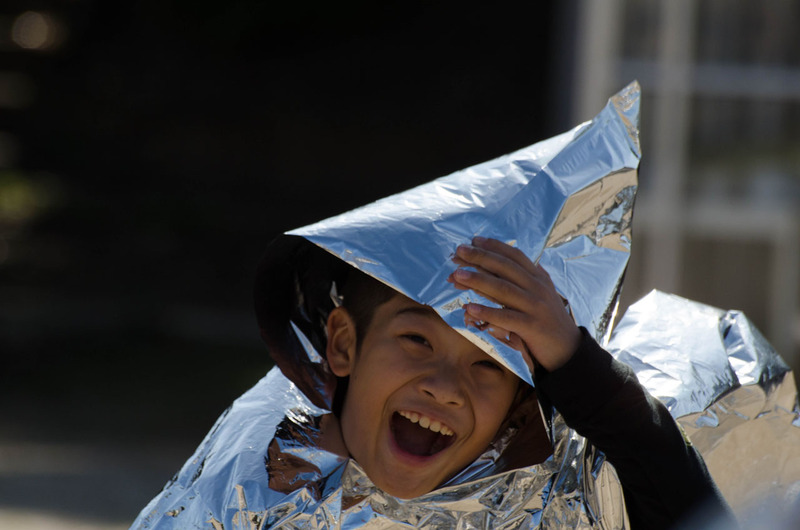 The project began with a visit by pupils from the participating elementary schools to the JAXA’s Tanegashima Space Center, to see the Daichi 2 before its launch. 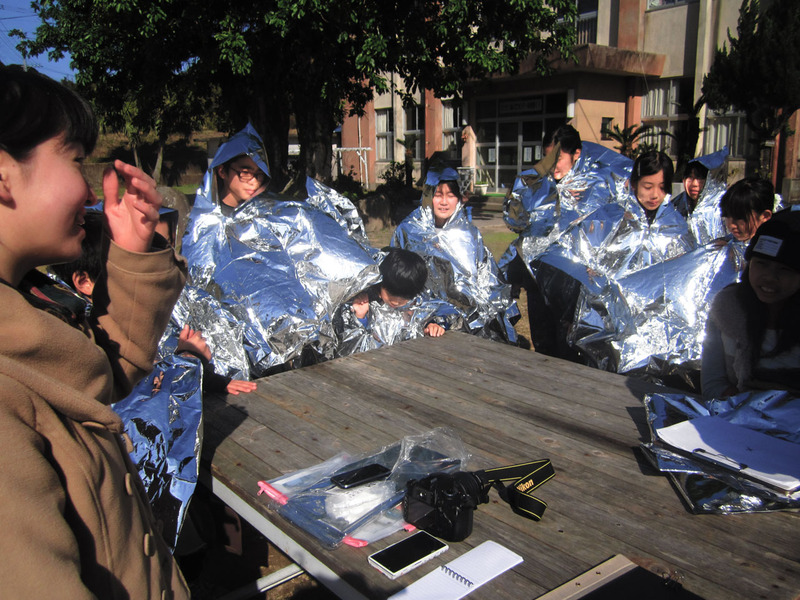 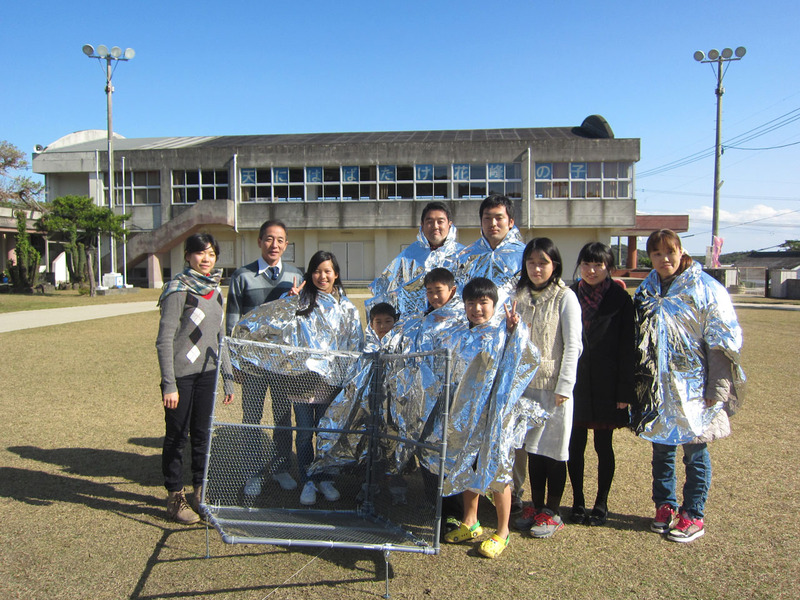 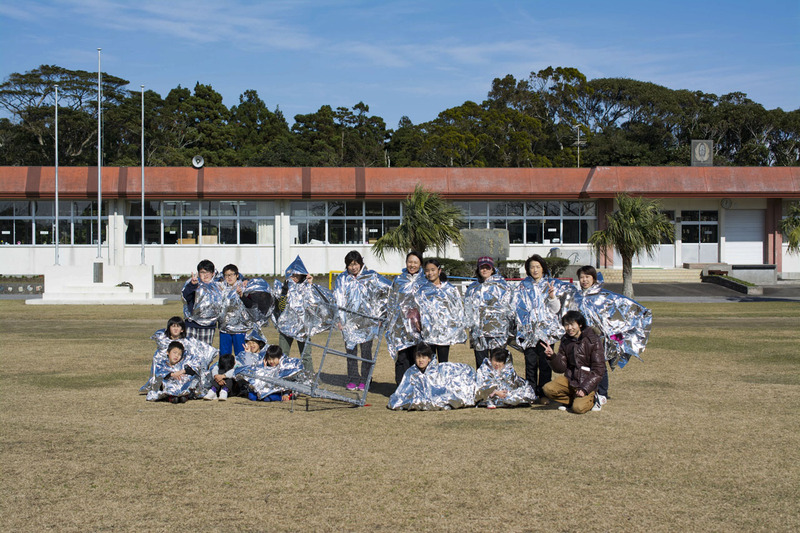 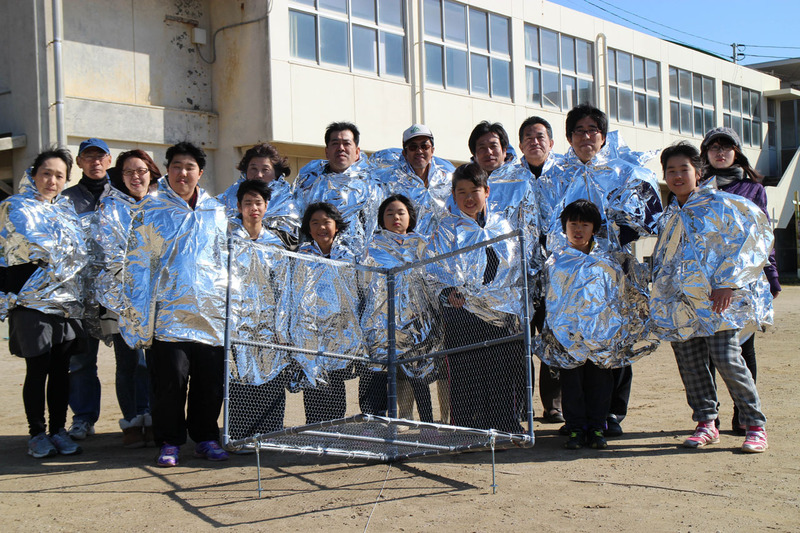 Then came the assembly of the corner reflectors, which had been devised together with students from the Kanazawa College of Art. 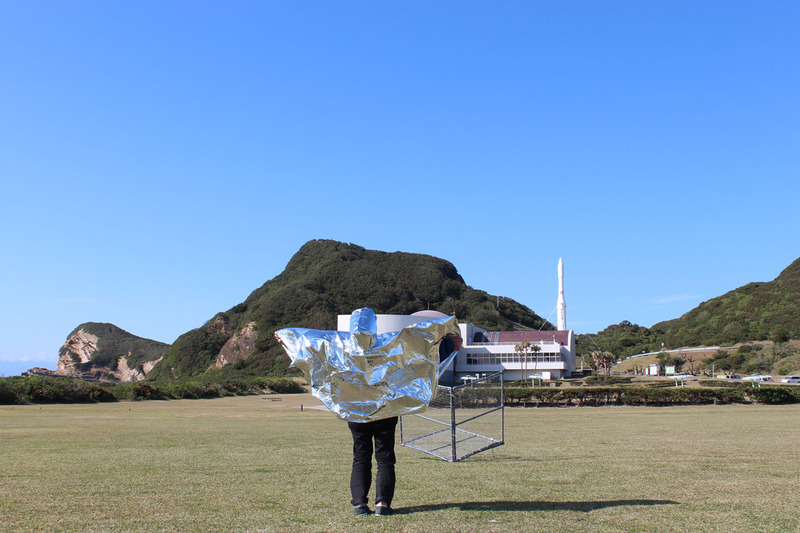 They had been designed to accommodate the climate conditions on the island of Tanegashima with its strong winds, and to fit the high resolution capability of Daichi 2’s sensor. 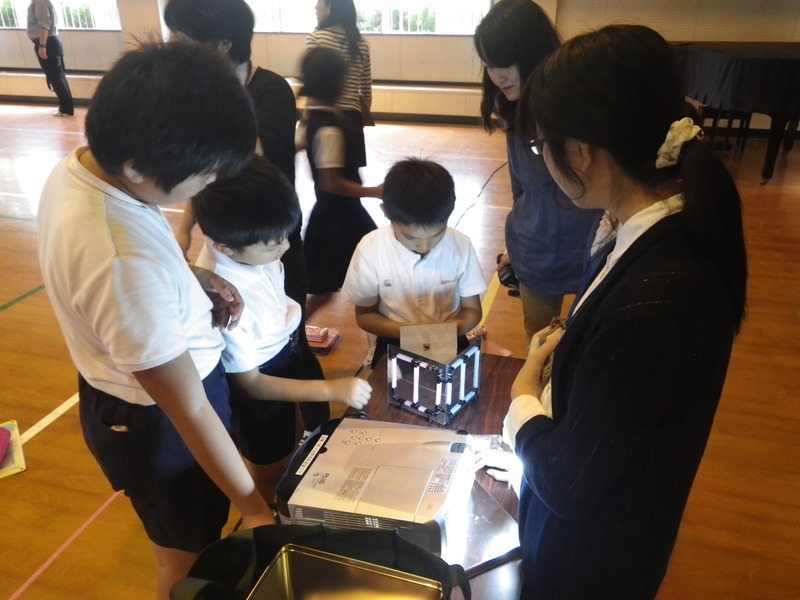 A lecture was held at the elementary school, attended by a large number of pupils. 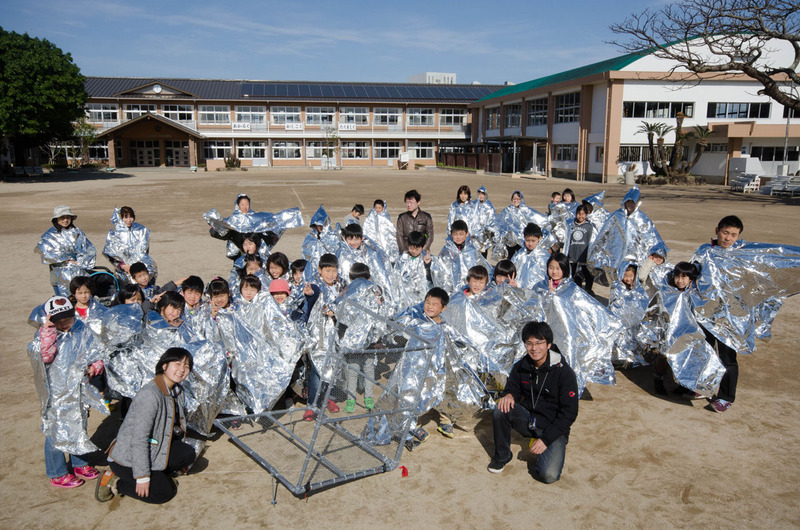 The school grounds were used as the locations for the corner reflectors. 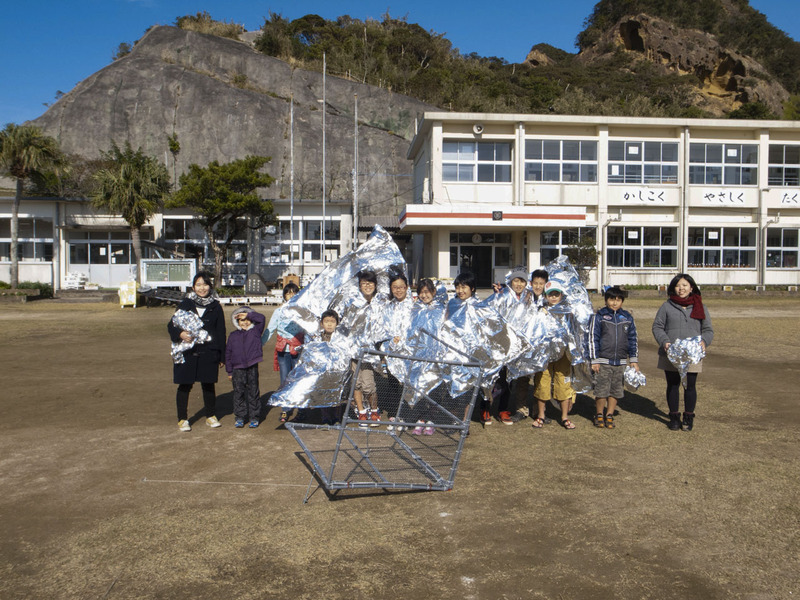 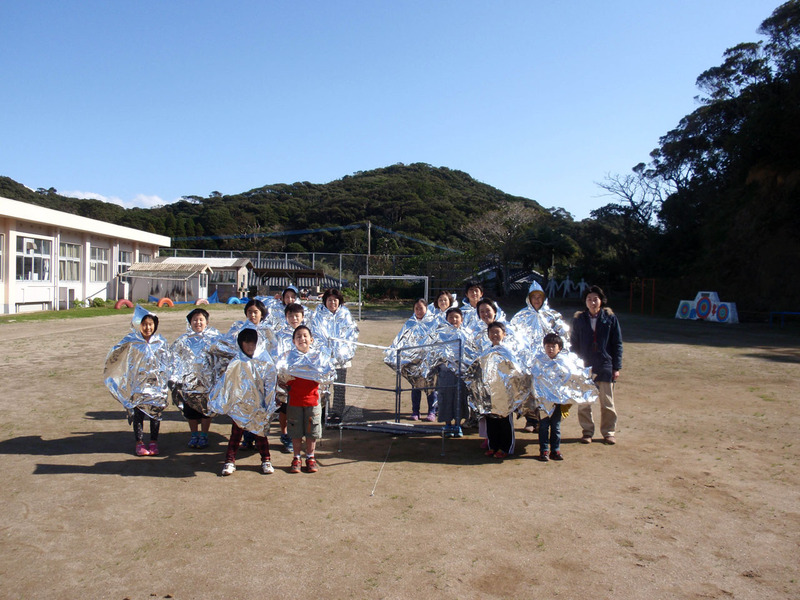 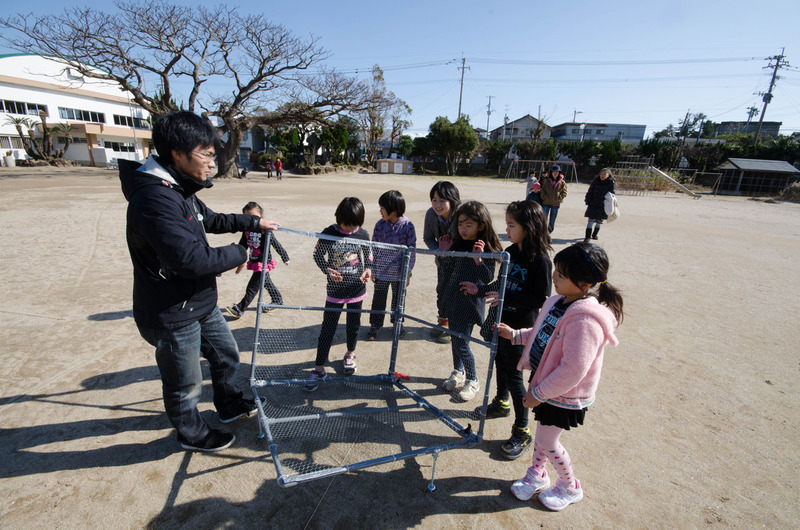 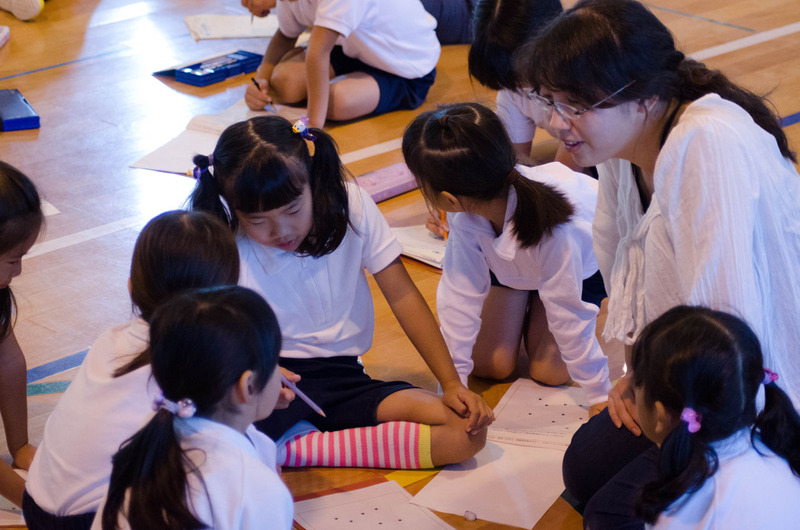 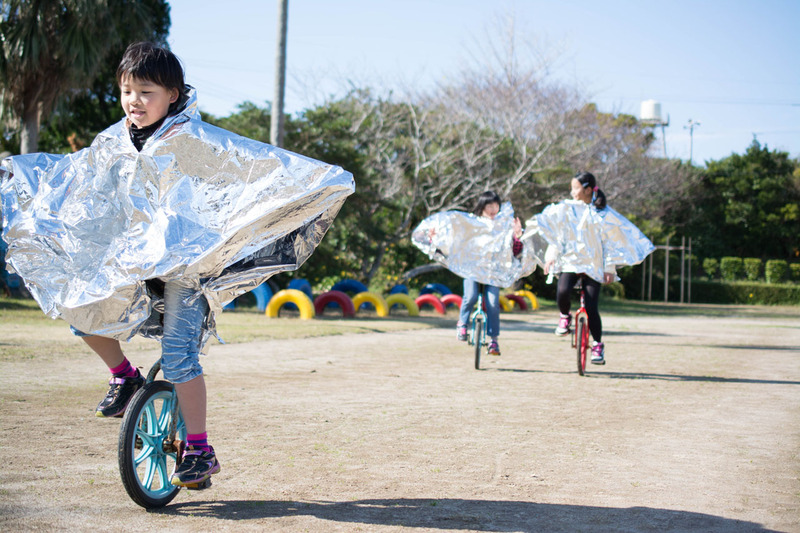 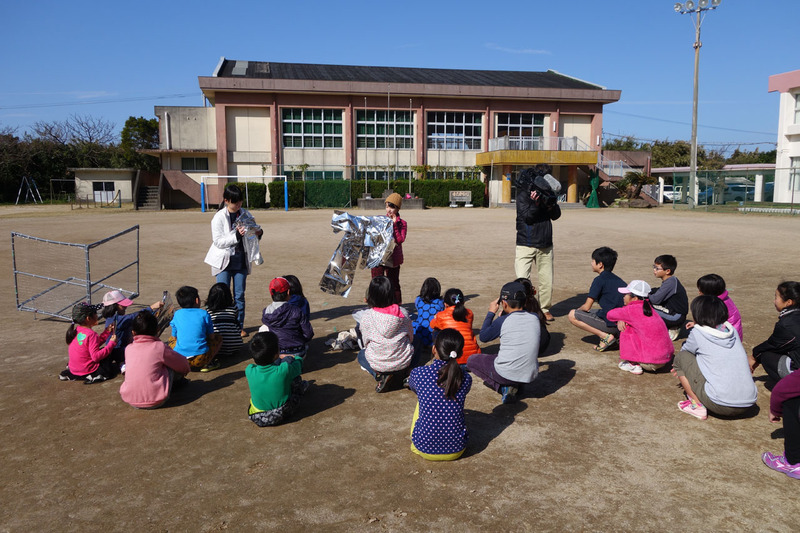 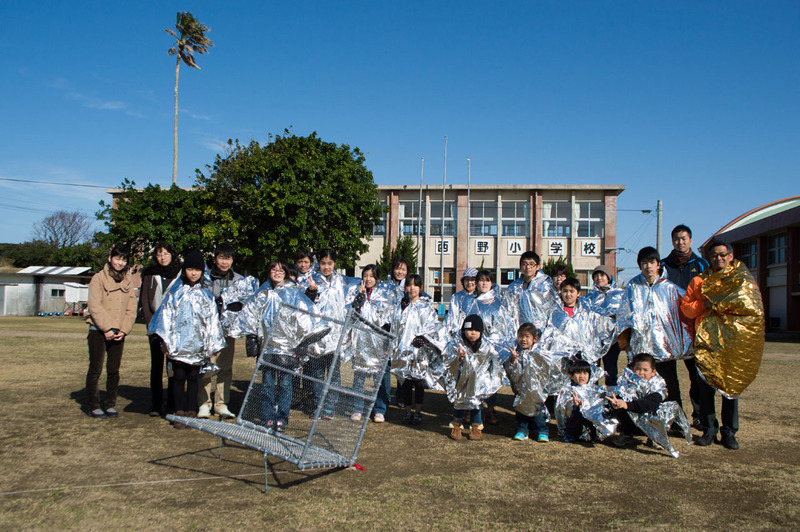 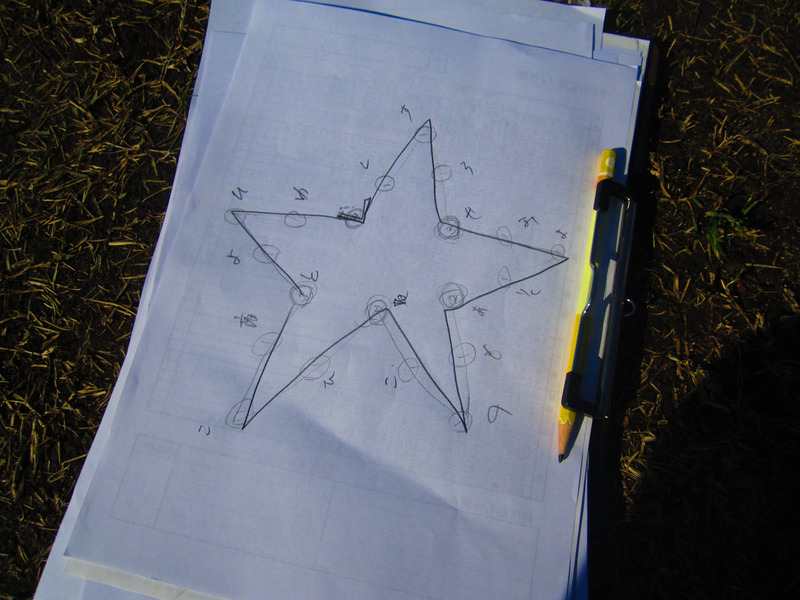 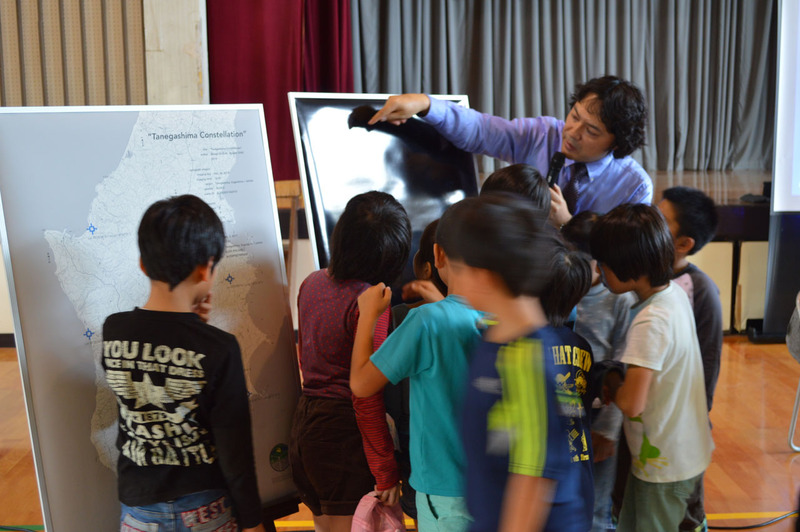 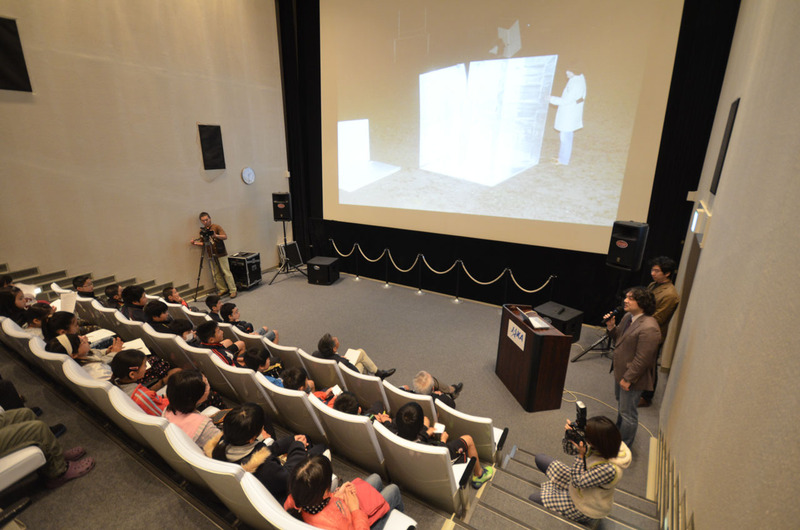 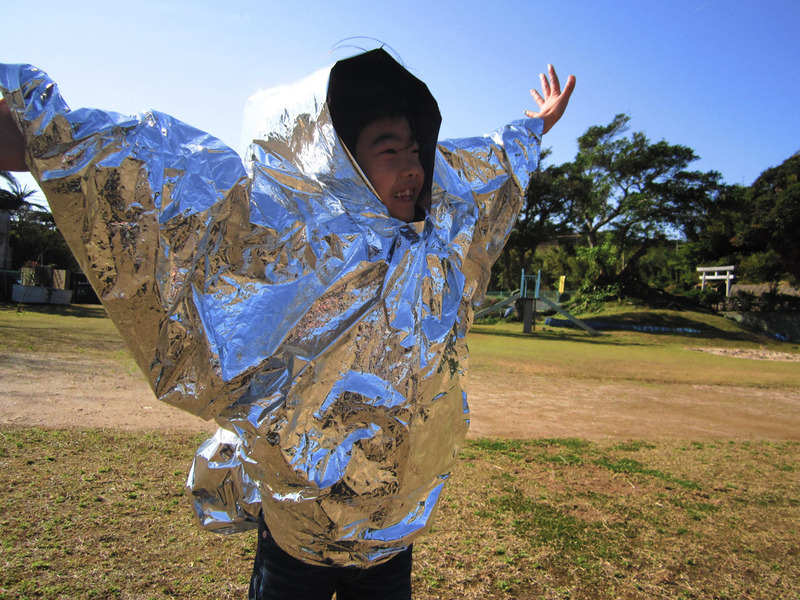 It was the collaborative effort of Kanazawa College of Art, Kagoshima University, and the staff and pupils at the elementary schools that created the first Constellations of the Earth geoglyph.